The Marie Curie Hospice, West Midlands offers specialist care for people with cancer and other life-limiting illnesses and support for families, completely free.His Royal Highness The Prince of Wales, Patron of Marie Curie Cancer Care officially opened the new £20 million hospice on 21 June 2013. All the money raised from the Tommy Godwin Challenge will be going towards funding our Marie Curie Hospice, West Midlands. The hospice is here for people living with any terminal illness, and their families. We offer expert care, guidance and support to help them get the most from the time they have left. Last year the hospice cared for 479 in-patients and 1,122 used our day care for treatments and alternative therapies. The hospice has 24 private bedrooms, all with en-suite wet rooms, piped oxygen and double doors offering direct access to landscaped gardens where 2,000 trees have been planted. Our in-patient facilities enable patients to make the most of the time they have left in comfort with expert care on hand 24 hours a day. The West Midlands Hospice also provides an adult and specialist child bereavement service for those loved ones of the patients affected by what the family are going through. Our day hospice provides patients with a range of therapies, from clinical to alternative such as reflexology and specialist clinics to help patients and their families deal with some of the symptoms of their illness. Day patients can also take advantage of the other activities on offer such as art classes and gardening in the beautiful gardens or indoor greenhouse. We are here to look after every aspect of the patient, from their physical to emotional and spiritual wellbeing and to make sure they and their families are supported in every way possible at this difficult time in their lives. 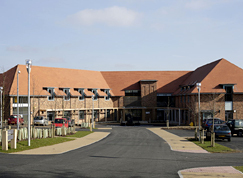 Many families say to us that they simply could not have coped had it not been for the Hospice being there for them. It costs £400 for someone to stay in the Marie Curie Hospice for 24 hours, which is why your contribution is so valuable to us.